I am sure you have experienced dandruff at some time or the other. Dandruff basically is the dead skin cells of scalp, which is commonly experienced by both men and women. For some it occurs very frequently and to others it may appear at different times and seasons. If you ever find small white flaky substance appearing on your shoulders, then most likely its dandruff. Even if dandruff is not considered as a medical condition, it can be embarrassing and we all hate it. There are tons of hair care products including oils, shampoo and conditioners for dandruff treatment and removal. But me being a natural living enthusiast, I prefer to deal with most of the skin, hair and health conditions using natural ingredients. And there are natural ways to treat dandruff as well and today I am going to talk about using one such natural ingredient called tea tree oil. If you are tired of dandruff and wondering how to use tea tree oil for dandruff treatment naturally, then here’s a must read for you. In this post, I am sharing everything worth knowing about tea tree oil and how to use tea tree oil for dandruff treatment and removal. As per this study, tea tree oil has been used since over hundreds of years because of its medicinal properties. Tea Tree oil is primarily derived from the Australian native plant called Melaleuca alternifolia. Tea tree oil is becoming popular around the world since over a decade now. Tea tree oil is widely used in different types of skin and hair care products as well as a standalone essential oil in different remedies to deal with various hair and skin issues including dandruff. The antifungal and anti-inflammatory properties of tea tree oil make it the perfect natural ingredient for dandruff treatment and to deal with other hair care and skin care issues. Why use tea tree oil for dandruff treatment? Exact cause of dandruff may not be unknown to us, but dandruff could be caused because of several factors, including hygiene and season e.g. dandruff is too frequent in winter and rainy season. Excess release of serum, a natural oil produced by our body to protect the hair leads to dandruff, itching and other scalp issues. Basic symptom of dandruff includes flaking, itching and greasiness on scalp. Dandruff is related with dead skin cells and it can be treated to a good extent with ingredients that has antifungal and antibacterial properties. Thankfully tea tree essential oil has the antifungal and antibacterial properties and hence it is very effective in dandruff removal and studies are a proof of that. There are enough evidence of tea tree oil being effective in treating wounds and other types of fungal infections. Studies have also confirmed the effectiveness of tea tree oil in treating dandruff. A randomized study was conducted on a group consisting of 126 male and female. They applied 5% tea tree oil shampoo or placebo for four weeks to treat and remove dandruff. After 4 weeks of application, the results were significant, as the group who applied 5% tea tree oil shampoo, experienced 41% improvement in dandruff condition. In comparison, the people in placebo group found only 11% improvement in dandruff condition. As you can see, it is clearly evident from the study, that 5% tea tree oil shampoo is very much effective in treating and removing dandruff. So there is no doubt about the effectiveness of using tea tree oil for dandruff treatment. If you are tired of dandruff and itchy scalp and looking for easy natural ways and remedies to get rid of dandruff, then I am sure you can use tea tree oil for dandruff and get rid of it easily. If you are wondering about how to use and apply tea tree essential oil for dandruff then that’s what we are discussing in the next section. Since the tea tree essential oils are very effective in dandruff removal, there are a number of products available in the market that may do the job to an extent. But those branded products may not be affordable for all. Also there are many, who prefer to use natural ingredients and remedies (including me) to deal with common skin and hair issues. Dandruff not being a medical condition, I personally prefer to deal with it naturally and I have found tea tree oil to be very beneficial in dandruff removal, besides offering many other benefits for hair and skin including acne treatment. Using pure tea tree essential oil for four to five weeks can turn out to be a magical remedy in dealing with dandruff. Tea tree essential oils are widely available, it’s cheaper than other commercial shampoo and it’s natural and safe to use for all types of skin and scalp. Tea tree oil is available in various forms, but you should use it in its purest form. There are various brands and suppliers of pure tea tree essential oils from where you can buy a small 10 ml or 15 ml bottle and use it for various purposes including for dandruff removal. Once you have bought the pure therapeutic grade tea tree oil for dandruff, you can apply and use it for dandruff removal in various ways. Two of the easiest ways to use tea tree oil for dandruff is to either mix it with other carrier oil like coconut oil, almond oil, jojoba oil etc. Alternatively you can also mix it with your favourite everyday shampoo and make your own tea tree oil shampoo for dandruff removal. 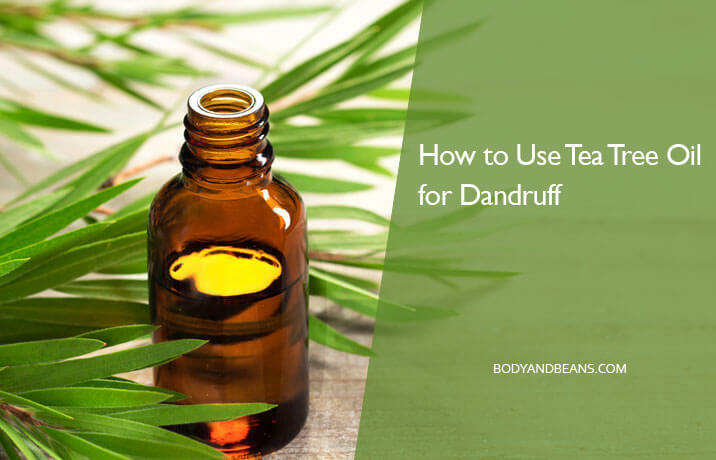 Today we are going to discuss both the ways of using tea tree oil for dandruff. One of the easiest ways to use tea tree oil for dandruff removal is to mix it with coconut oil and apply gently on scalp. In this remedy of tea tree oil for dandruff, we are going to use pure coconut oil. Now some of you may wonder about adding coconut oil, especially when you know that the tea tree oil is magical in removing mild dandruff. Well the reason behind mixing coconut oil with tea tree oil for dandruff removal is that, the tea tree oil is very strong and hence it may not be suitable for all to apply it directly. If you end up applying tea tree oil directly on your scalp generously, then you may experience itching or rashes, which is a sign of allergy. Tea tree essential oils are considered to be safe for tropical application and it can be applied by those who are not allergic to it. But since it is very strong in nature, it must be diluted with other carrier oil or shampoo before application. If you have a sensitive skin type, then you should go for a small skin patch test. Apply it in a particular affected area (scalp scalp in this case) and observe the result for any side effect or sign of allergy before you apply it fully on your scalp. So are you ready to try this coconut oil and tea tree oil remedy for dandruff removal? 2 drops of pure tea tree essential oil. 1 glass bowl to mix both the oils. Wash your hands and the glass bowl properly. Now take about 10 ML of coconut oil in to the bowl. Add 2 drops of tea tree essential oil to it, and give it a good mix so that the tea tree oil gets properly diluted in the coconut oil. Now it’s ready for application. You have to apply this mixture by hand. So take the mixture you have just prepared and gently apply it on your scalp. The idea is to massage your scalp with the mixed oil, and not your hair, so do it gently and leave it for about 30-35 minutes so that the scalp soak the oil properly. Wash your hair with a gentle shampoo and see the difference for yourself. You can apply this remedy once every week for three four weeks to get maximum benefit in removing the dandruff. When applying this tea tree oil remedy, make sure to use properly clean bowl and also clean your hands properly. I have tried this remedy and I can see significant improvement in my dandruff condition. But same may not be the case with everyone. Those who have severe dandruff problem and finding no difference in the condition even after three four application, should stop using this immediately and consult a professional doctor instead. However this remedy is known to work for many, including myself. As stated earlier, tea tree oil has strong antifungal properties and that’s why it is highly effective in treating dandruff conditions. Tea tree oil is very effective in fighting the fungus that causes the dandruff. Because of the effectiveness of tea tree oil in removing dandruff, many cosmetic companies have started making tea tree oil shampoo. There are many branded shampoos out there that promise to be effective in treating dandruff. You can easily buy a shampoo that has tea tree oil in it. But the best cost effective and natural alternative to buying tea tree oil shampoo is to use pure tea tree oil in your daily shampoo. You can easily make your own tea tree oil shampoo for hair cleansing and to fight dandruff at home. As you know, the idea of mixing tea tree oil in your daily use shampoo is to let it dilute properly. But how much of tea tree oil is to be added in your usual everyday shampoo is seriously important. If you add enough of it, then it may become harsh on your hair and scalp. If you add too less of oil in your shampoo then you may not get the desired result. To make your own tea tree oil shampoo at home, it is important to mix right proportion of tea tree oil to the shampoo. The best proportion is to use about one drop of tea tree essential oil to 1 ounce (or around 25-30 ml) of shampoo. Give it a good mix and your day to day usual shampoo has become a tea tree oil shampoo now. You can use this homemade magic to fight dandruff easily and effectively. Pour in the shampoo on your palm, mix and spread it and apply gently on your scalp. Leave it for 5-10 minutes and then wash it off as you normally wash your hair after shampooing. Finish it off with a conditioner if you want and you will see the difference yourself. One of the best properties of tea tree oil is that it can easily fight dandruff causing fungus, and that too without drying your scalp and hair. And that’s what I like about the natural ingredients like essential oils; it is beneficial and does not have many side effects. Again, you can apply this once or twice a week to fight dandruff easily. These tea tree oil remedies are bound to work against mild dandruff issues. But if your dandruff condition is severe and you are not getting the desired results, then you should ideally consult a doctor. Using tea tree oils is usually safe for most of the hair types, but if you find any sign of irritation, redness or rashes, then that means you are allergic to it and you should stop using it immediately and consult your doctor. As you already know, tea tree oil is considered to be safe for tropical application. Which means you can use it externally. Avoid swallowing it or applying it near your mouth and eyes. If you find any sign of irritation or itching during/after application, then wash it off and consult your doctor immediately. Apart from being embarrassing, if not treated on time, dandruff could cause other hair and scalp issues like itching and excessive flaking. There is no definite known cause or treatment for dandruff. 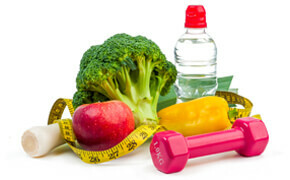 It’s a normal condition and usually found in both men and women between the age group of 14 to 50. There are a number of oil, shampoo, conditioners etc that promises to treat dandruff. But you can make your own remedies using tea tree essential oil for dandruff. Studies have confirmed the effectiveness of tea tree oil in dealing with dandruff, and it has been used since hundreds of years in treating various types of skin issues including fungal and bacterial infections. Tea tree oils, when used correctly, can be very effective in treating dandruff and itching scalp. There are many ways to use tea tree oil for dandruff removal and we have discussed two of the easiest and effective ways above. The first and the easiest method is to mix 2 drop off tea tree oil to pure coconut oil and apply it gently on scalp. The second easiest way to use tea tree oil for dandruff is to mix it with your daily use shampoo and apply it to remove dandruff easily. Have you ever used tea tree oil for dandruff? How do you use it and how effective you found it to be in dealing with dandruff? Feel free to share your techniques of using tea tree oil in various remedies including oils and shampoo and I will be happy to update the post accordingly. By the time I come up with other posts to talk about the skin and beauty benefits of essential oils, stay healthy, stay happy!